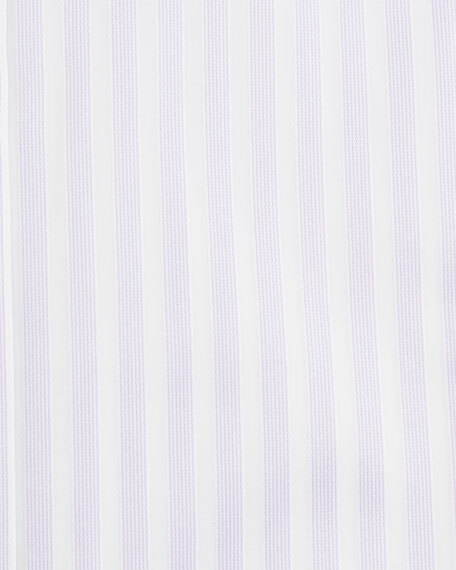 Brunello Cucinelli dress shirt in poplin striped design. Spread collar; button front. Long sleeves. Barrel cuffs. Shirttail hem. Cotton. Made in Italy. Model's measurements: Height, 6'1"/185cm, waist 32"/81cm, suit 40L, shirt 15x34, inseam 32"/81cm. EXCLUSIVELY AT NEIMAN MARCUS Ermenegildo Zegna Cento Fili dress shirt in stripes. Italian point collar; French-placket button front. French cuffs. 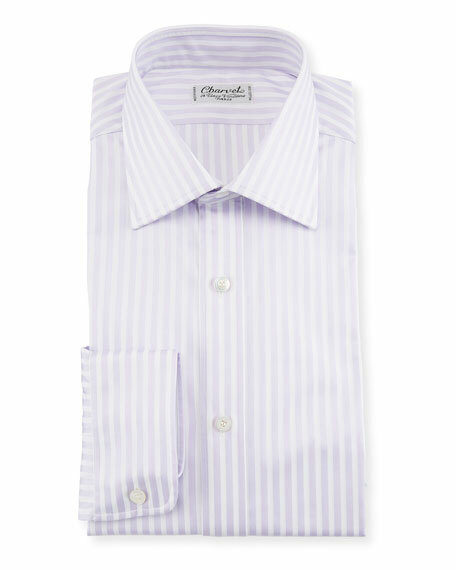 EXCLUSIVELY AT NEIMAN MARCUS Ermenegildo Zegna Cento Fili dress shirt in stripes. Italian point collar; French-placket button front. French cuffs. Tailored Milano fit. Shirttail hem. Cotton. Imported. EXCLUSIVELY AT NEIMAN MARCUS Ermenegildo Zegna woven twill dress shirt. Point collar; French-placket button front. French cuffs (cuff links not included). Shirttail hem. Cotton. Imported of Italian material. Eton dress shirt in micro star print. High spread collar; button front. Mitered barrel cuffs. Yoked back shoulders. Contemporary fit.